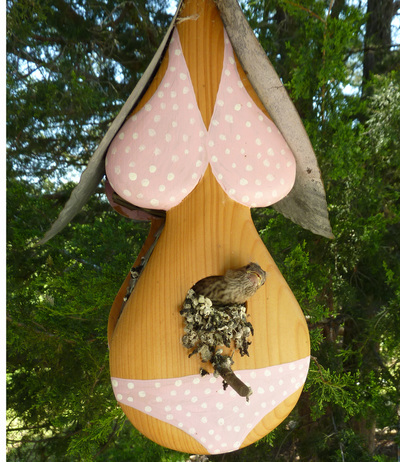 You won't find a more solid durable birdhouse than Mike's creations! Made from western red cedar and barn tin these whimsical birdhouses are built to withstand even the harshest conditions. Mike uses ago-old crafting techniques and the finest quality materials to bring you lasting works of art to add to your porch, backyard, birdhouse collection or to give as a gift. The woven barn metal provides the perfect amount of air flow to ward off bacteria and mold growth and it also allows any moisture to drain which prevents splitting. The fact that there is no perch for predators to land on assures that the hatch-lings are safe. 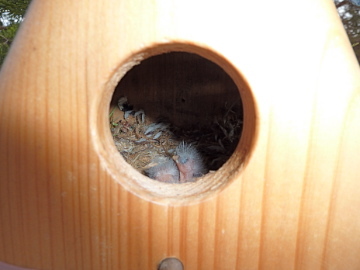 WHICH BIRDS LIVE IN OUR BIRDHOUSES? Our birdhouses are designed with an 1-1/4" entry - perfect for common backyard song birds that live in every state throughout the US such as Wrens, Chickadees, Nuthatches, Tufted Titmouse, Black-capped Chickadees, finches and more. 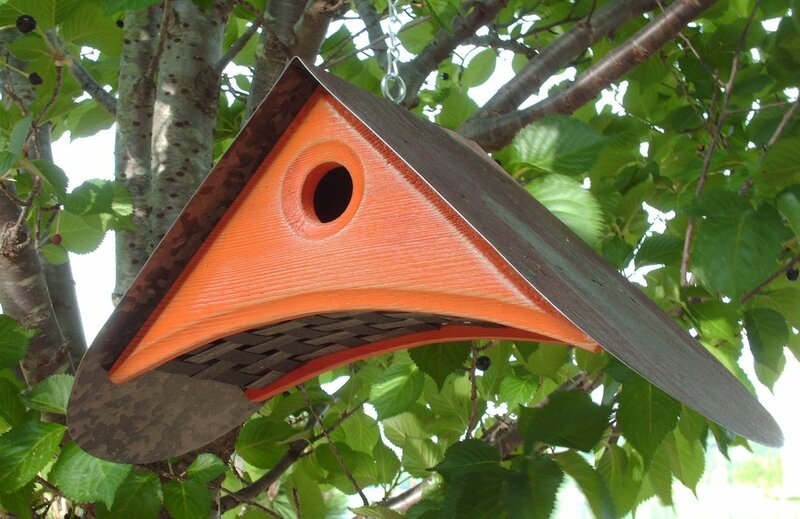 Each birdhouse has a removable disc to make fall clean-out an easy chore and they are finished with five coats of clear, exterior UV protective coating for years of outdoor protection. 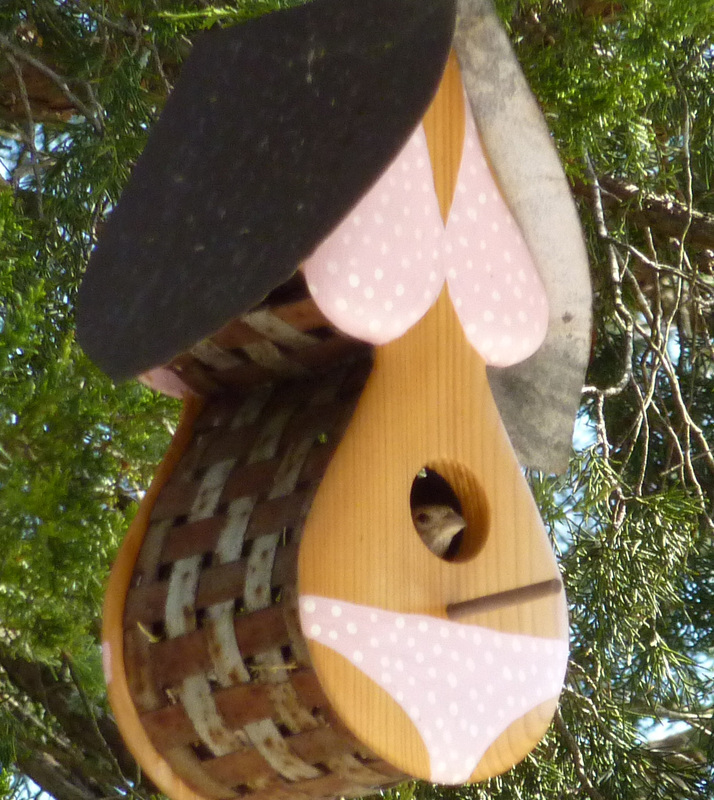 - Within 30 minutes of hanging our birdhouse a bird was investigating. We can't wait to see what happens next! - Mike is a true craftsman; you can see the attention to detail and pride in each of his creations. Very nice and personable. Will be buying many more birdhouses from him. 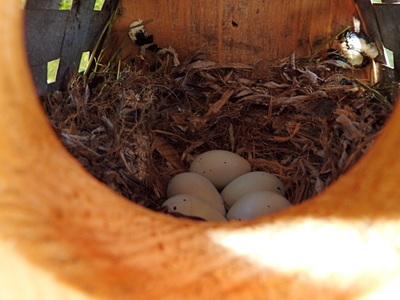 - We've had the same Nuthatch return to our birdhouse for the past two years. 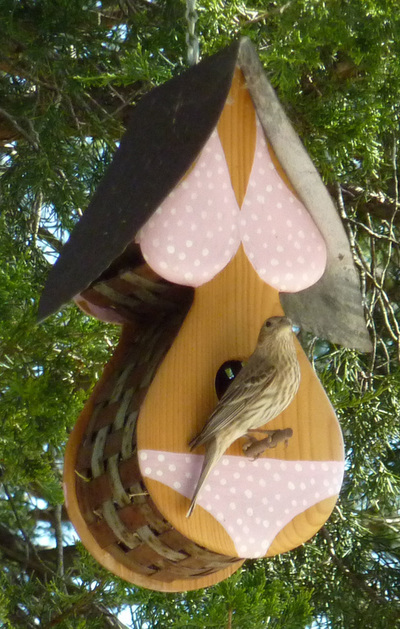 Thanks, Mike for making us a wonderful birdhouse to enjoy! ​Each birdhouse design starts with a drawing inspired by an attempt to bring the likeness of birds into each piece. Some of my designs will remind you of an actual bird while others rouse images of a bird in flight. 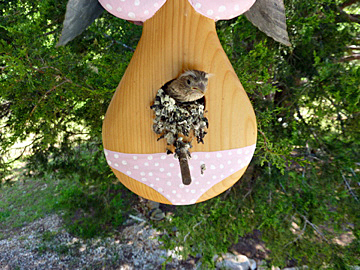 I built the bikini birdhouse above for a friend's poolside. ​Not long after he hung it a finch moved in and has returned each year since. She loves her stylish home and her hatch-lings thoroughly enjoy the view!